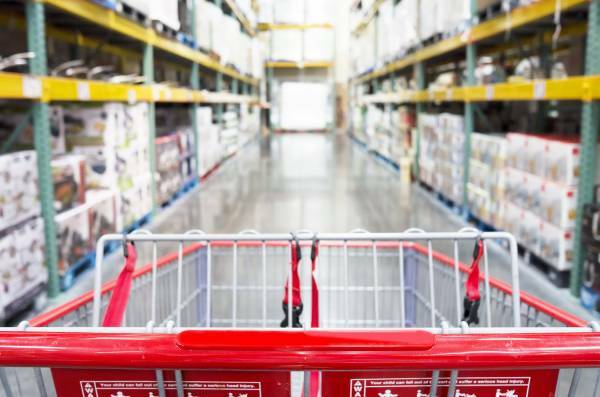 If your company distributes consumer goods through major retailers such as Target or Walmart, you are well aware of the challenging demands retailers can require from their suppliers. Design and packaging customization requests that can strain your pipeline, or placing large purchase orders with short turnaround times are just a few of examples of the flexibility that is required from major retail partners. Distribution through club stores creates similar demands, but on a much more intense level. Costco, Sam’s, and BJ’s allow their customers to save by purchasing large volumes of product at one time. In fact, the entire club store experience is built around offering shoppers bulk quantity at discounted prices. However, in order for club stores to offer those deeply discounted prices, they must carefully manage their cash flow and margins, a value proposition which translates back to the supplier in the form of substantial purchase orders with tight demands. Club stores generally don’t want to receive inventory until the very last minute and often times they will expect your product to be retail-ready when it arrives at the store. Upon arrival, your product should be packaged for immediate display, as most club stores do not want their in-store employees to be responsible for assembling your pop-up displays. The entire business model of club stores requires that they partner with suppliers who are both reliable and consistent. You will have a difficult time achieving success in the club store world if you or your packager can't meet these demanding requirements. Here is a brief outline of what to expect when working with a club store partner, as well as tips on how you can make the most of the opportunity. Gaining shelf space at a club store is difficult to begin with, but receiving your first purchase order is only the beginning of the challenge. The more challenging part is to proving that you are a reliable partner who deserves to be in the store. If the club store loses faith in your capacity to deliver, you may quickly find that your space has been given to a competitor. Typically the process begins with a trial run over the course of approximately 8 weeks. During this time, the club store will test the sales appeal of your product, usually by stocking your product in a limited amount of test stores throughout the country. They may also give you prime shelf space such as an in-aisle display or endcap to give your product more visibility. Throughout the duration of the trial run, the club store will be evaluating your product on a few factors such as your appeal with consumers. Are club store members purchasing your products? Engaging and thoughtfully designed packaging will play a critical role in consumers purchasing decisions in club stores. Many times you will find that the club store will have specific thoughts and requirements regarding your design. Are your shipments arriving on time as scheduled? Club stores don't want the inventory to arrive late, but at the same time they don’t want to receive it too early. Receiving inventory promptly at the requested delivery time is key. Are your products arriving in retail-ready packaging? For instance, if you have an island, the club store may request that your packaging be pre-stocked in the display so club store employees can simply wheel the entire display on a pallet to its final destination. Your goal should be minimal to no in-store assembly required. Are you designing your packaging elements with sustainability in mind? Excess materials can be viewed negatively by club stores and they definitely don't want to deal with your packaging waste. Again, the club store business depends entirely on their ability to minimize costs. If your company can help them achieve that goal, they will view you as a preferred partner. How quickly can you implement changes? You may find that the club store wants to test various types of packaging during your trial run. You may be asked to switch from a pop-up to and in-aisle display, or specific type of end cap. Or the club store may require packaging in different color or shapes. How quickly can your team pivot and deliver a new solution? You will start to receive full purchase orders for distribution through a greater number of stores if you are able to successfully make it through the trial run, so this exercise is critical. Upon successful completion of your trial run, you can expect volume to increase sharply. It is imperative that you are able to quickly turn around a high quantity of product, while still delivering on tight deadlines and possibly met with challenging demands for customization. If you can meet these challenges, you’ll likely see continued orders in the future, which could boost your revenue, cash flow, and profitability. If you can’t meet the club store’s demands, you may lose your shelf space. Your packaging plays a key role in your club store experience. Appealing, high-quality and well-engineered packaging can help your product catch the attention of club store customers. However, your packaging process is just as important to help you retain shelf presence and maintain credibility with the club store. Working with a packaging partner who has club store experience is one of the most effective methods to achieve success in a club store, especially if your packager has a proven track record with the specific club you are trying to work with. For example, a packaging partner who has worked with Costco in the past will know the ins and outs of Costco's trial run process, as well as experience meeting their customization needs and deadlines. With this type of knowledge, your packaging partner can help you anticipate and plan for challenges before they even present themselves. Lastly, fulfillment is almost just as important as the production and packaging design. More than likely you'll want to warehouse your product at your packaging partners facility to save time and money, so ensure that your packager has the capacity and storage space to pick and pack your products quickly and efficiently. This is an important step because it will provide you with the flexibility to meet the club store orders for particular mixes of packaging and product. This means that when the purchase order comes in, your packaging partner simply has to pull the required product bundles and package it to the custom specifications. Bottom line, the efficiency and quality of your packaging could determine your success with club store distribution. You work hard to win the club store business, don't let your packaging hinder your opportunity! With decades of experience serving club stores, contact QPSI and learn how our expertise can help make your product a success.